The Medicaid Primary Care Bump has proven vital to Colorado’s family physicians, patients and communities. Below, Dr. Glenn Madrid, Colorado Academy of Family Physician’s President and Chair, discusses why the bump matters to him. To learn more about the Medicaid Primary Care Bump and it’s effect on Colorado’s family physicians and patients, click here. 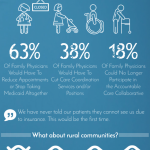 The Medicaid Primary Care Bump is vital to family physicians in Colorado. Background on the Medicaid Primary Care Bump The Affordable Care Act temporarily raised Medicaid primary care rates into parity with Medicare rates. 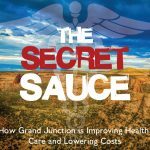 While federal funding for this “bump” ended in December of 2014, Colorado continued funding through the current fiscal year ending June, 2016. You are not logged in. Login now. I belong to CAFP because it allows me to explore how physicians are pursuing their passions through family medicine. The CAFP’s mission is to serve as the bold champion for Colorado’s family physicians, patients and communities, through education and advocacy.